Leaky hoses, what clips to use? 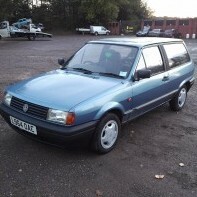 Hi guys ive just managed to get my polo 6n back on the road after doing the pedal box as it snapped ? But now I've got an idle problem and is high (1500-1800) I've done the clean carb plus checked all the pipes clips anything that has air in but can't find a leak anywhere ? Does anyone have any ideas where I should look next as it's just annoying me now. I also have the suspect gear box oil leak that from the history off the car has been there for a while but I can't seem to pin point where it's coming from as the oil is everywhere on the right side by the rubber seal but when I've cleaned it the seal just has a run off oil from somewhere ? Any advice please as I feel like this car was sent to try me ? Hi guys Last week I noticed a horrible smell when I sat in my 9n3 polo. I managed to track it to underneath the carpet on the front passenger footwell. I thought it was because of a water bottle I had in the car with a while so I gave the carpet a chance to dry well today I sat in my polo today only to find I got an upgrade in my car a freaking swimming POOL. I am having difficulty tracing the leak. I am able to feel that some of the insulation is wet in the front left corner and appears to be flowing down from here(circled red in photo). I thought it was perhaps the unused hood seal that I took out 3 weeks ago but the insulation behind it is bone dry. Does this type of polo have spots that are prone to leaking. Hey all, My little old R-reg is up for MOT in a month, and after overlooking it myself the only problem I've found is the exhaust. I can't tell if this is the original clamp between the two exhaust sections or if someone has fixed it - shoddily if so. The attached images show where the split is, it's at the SYA8 clamp. Clearly, this is gonna be an MOT fail, you can really hear it as soon as you start the engine, and there's quite a lot of fumes coming through the gap. The car is only worth a few hundred quid, and replacing the whole exhaust section probably isn't worth it. So my question is whether it's feasible to fix this myself - for cheap - and if so, how? Cheers guys. Ever since i bought my car the air-vents have whistled as i drive even with all the switches off. So not long ago i was putting the dash back in and saw the vents and thought "how do those come apart" as a result i became distracted and the dash got left on the front seats, the result would be the most interesting and amazing guide on club polo . . . how to stop those interior vents from leaking air. So first of all remove vent. Many will know how i imagine but just incase there is a screw behind the vent that you can undo by putting a screw driver through. Or it will come out anyway because someone already broke the plastic said screw goes into. Then you will have this . . . First of all the plastic lever bit (technical term) needs to come off, if like mine then it will resist, i levered with a screw driver but you might risk breaking. After this you need to remove plastic inside, i found it easiest to press on the top and bottom of the casing while pulling the plastic bit out. Inside the groove there will be that hidious perished foam that will need to be cleaned out. Then get a strip of foam that's long enough to go round all four sides and then add glue into the grooves. Then put the foam in best you can and then work round all sides with a flat blade screw driver to finnish off. Next trim the the foam, better to not trim enough than too much. Now put everything back together, see how it works, if it doesn't turn too easy then take back out and trim more foam, the sides need more off than the top and bottom. And there you go, interesting stuff i know. So last night I set about to replace the shoes in the rear drums and after a nice long ball ache I finally got them off and the new ones on, but before putting the drum on we tested it and it just juiced brake fluid down itself. So I figured that I'll need to replace the cylinder but I don't understand why it fucked up in the first place. Any advice so I don't ruin another one would be much appreciated.